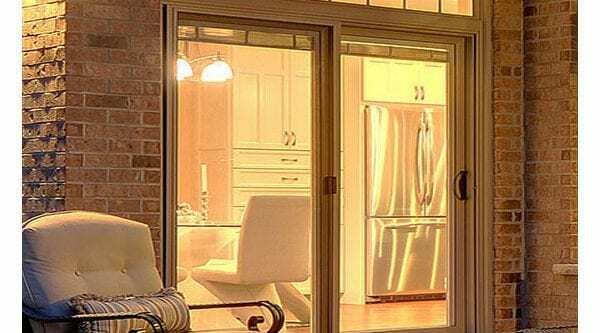 Our crew here at Brock Doors and Windows is fully dedicated to creating highly efficient homes and highly satisfied homeowners in the Toronto area through beautiful, quality replacement windows. Because, really, when it comes to your windows you simply cannot afford to choose unwisely! We have learned from experience: houses communicate with their inhabitants regarding the health and lifespan of the windows they hold—that is, if the owner knows just what to look for, in replacement considerations. A HOW-TO just for YOU! At Brock, we aim to educate our clients so they know just how to care for their current windows and when to seek replacements. Check out these three “forewarnings” your home will “speak” to you when the time has come to replace and upgrade your current windows! Drafty windows = not fun. Again, we talk to so many homeowners who have learned, subconsciously, to tolerate the chill seeping in through and around their old windows. Do not ignore this clear sign your home is giving you, as it affects your comfort, your security, the number of pests that may enter your home, and even your energy bill. You do not need that in your life! Often times we hear from Toronto residents, “it’s not so noticeable” or “it’s ok; it’s only in one room of the house and that room isn’t used often.” We get it. We all need to prioritize wisely with our time and money. What we will emphasize, though, is that draft you feel—even if it is isolated to one room or section of the house—is affecting your energy bills and will absolutely continue to do so. Outdated eyesores: Ah, trends. There is no telling what we were all thinking in the ‘80s and ‘90s when we selected different looks for our homes (and hair… and clothing…). Sad, tired looking windows drag the entire aesthetic of the structure down. This affects the impression your home gives to guests and the resale value or equity. Visibly cheap: To you homeowners who built your very first home and remained with it through the years, there is no shame in admitting what you can afford now is significantly more than what you could afford then, during the building/purchasing process. First, we applaud you for laying down roots. Second, know that upgrading your windows can be an exciting time; this is your opportunity to grow and evolve your home alongside your family. Plain Jane: Again, there is no shame in acknowledging that what you would choose now is very different than what you chose as window options a decade ago or more. For most of us, we have grown into our design preferences with age, right? If your windows fall into this category, let’s fix it together! 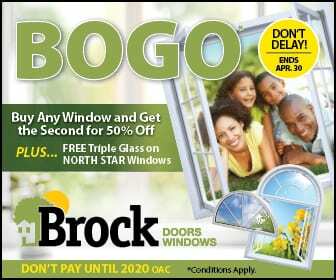 Give our team at Brock Doors and Windows a call if you need quality replacement window installation in Toronto. We can respond to your home’s communication about your windows together!